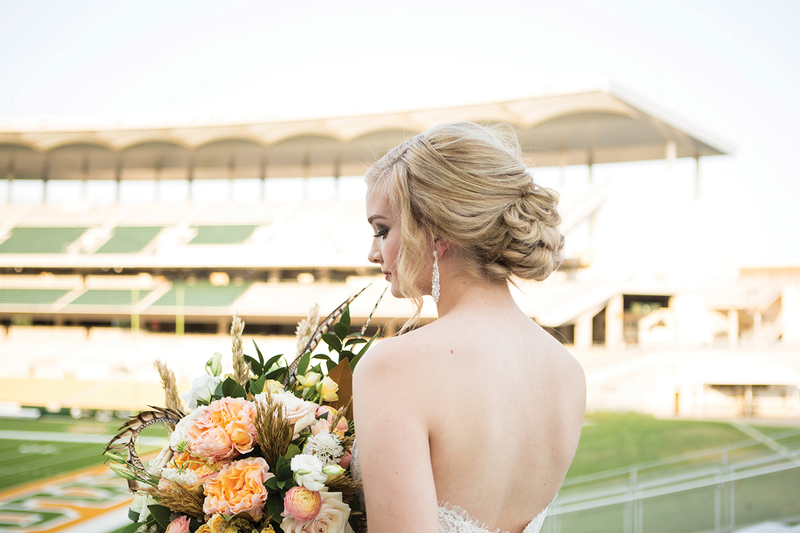 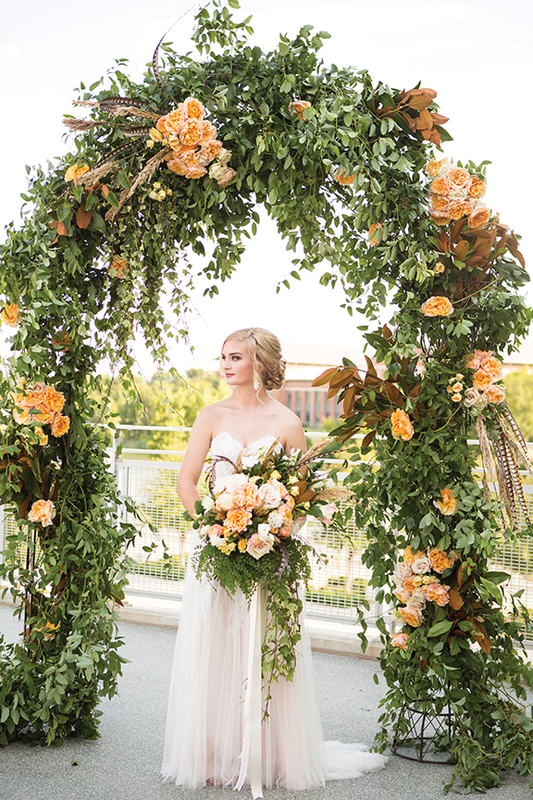 Framed by a cascade of greenery and flowers in gold hues, our bride stood gracefully on the sleek landing of the Baylor Club inside McLane Stadium. 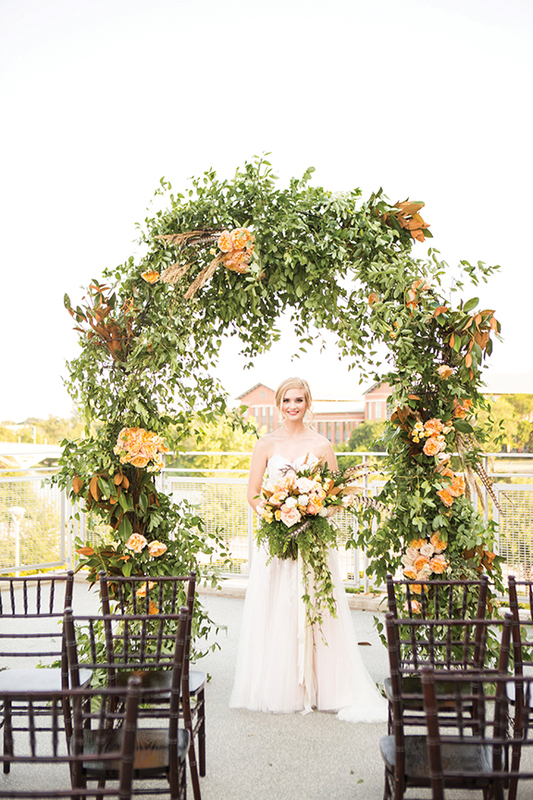 The dark-stained Chiavari chairs complimented the rust-colored foliage in the floral archway and the university’s red, brick buildings. 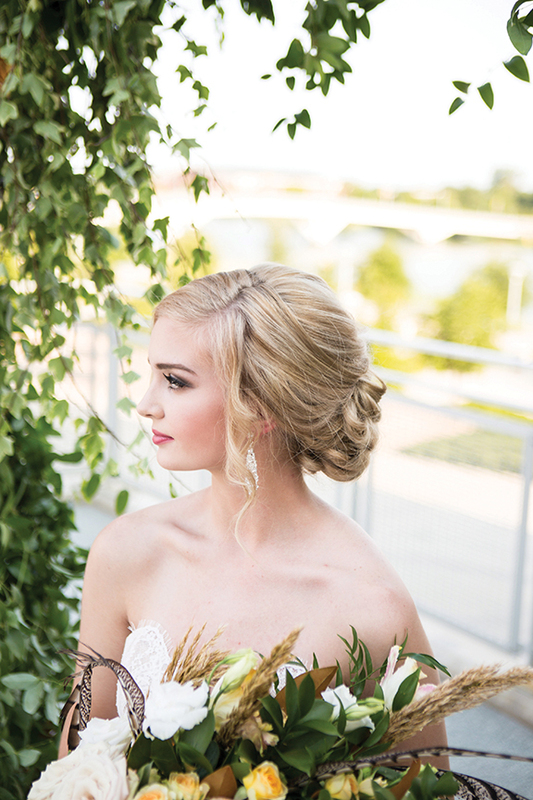 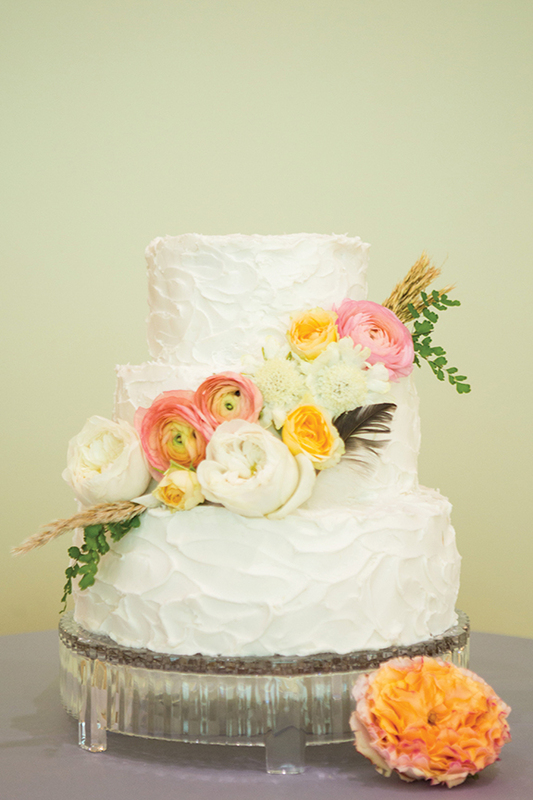 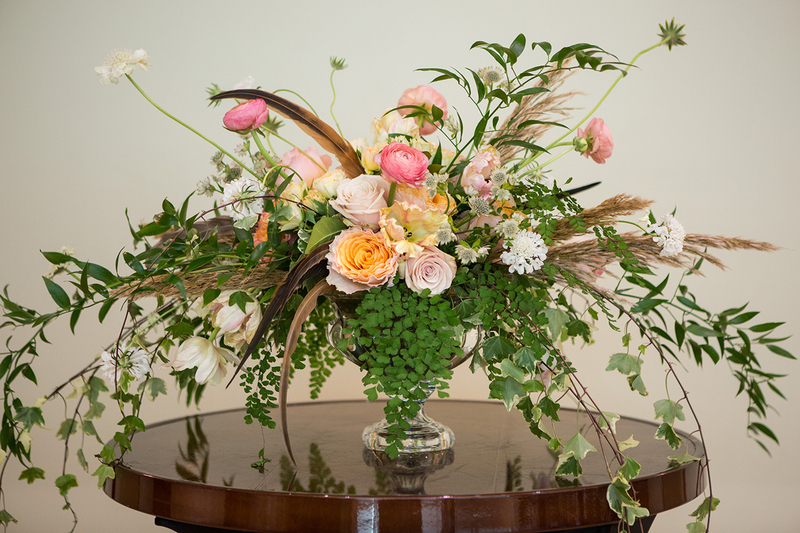 The bouquet, adorned with dynamic striped feathers, was the perfect addition to the bride’s soft, flowy gown. 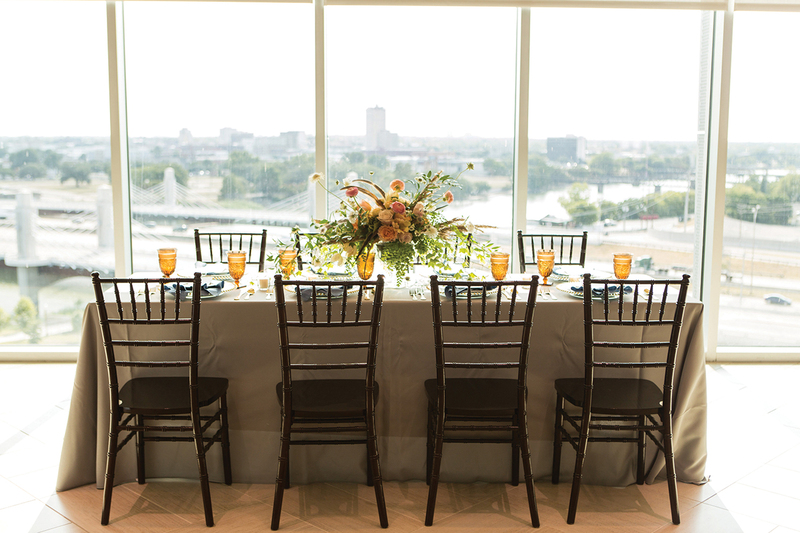 Inside, a reception table was set along the venue’s floor-to-ceiling windows, overlooking the Brazos River and Waco skyline. 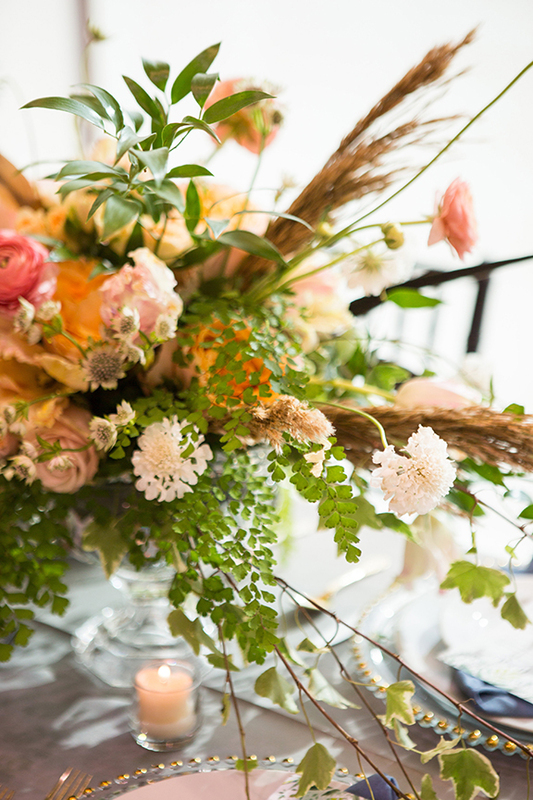 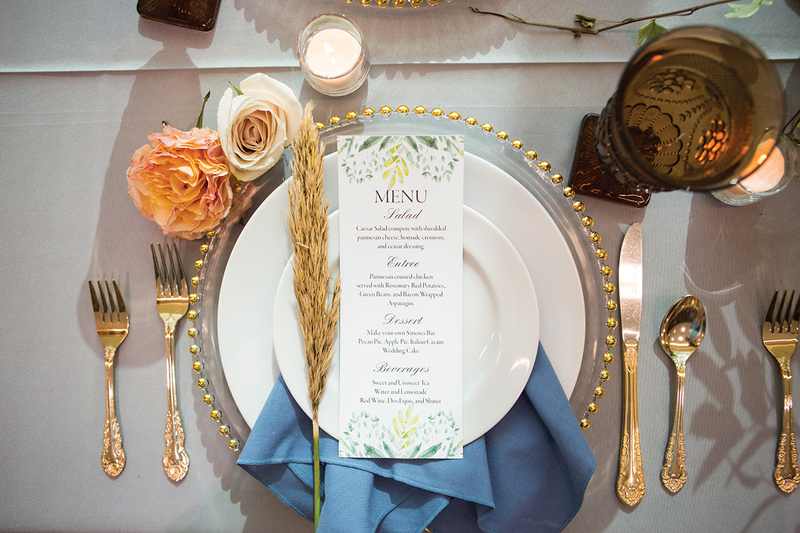 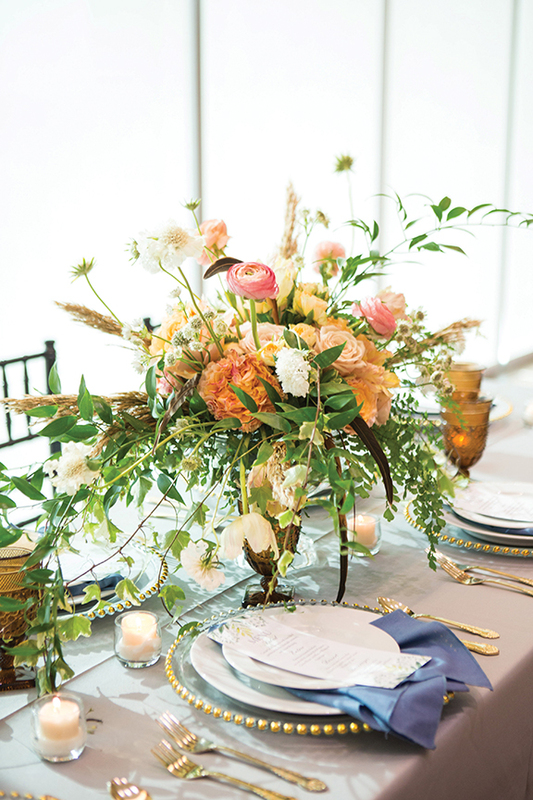 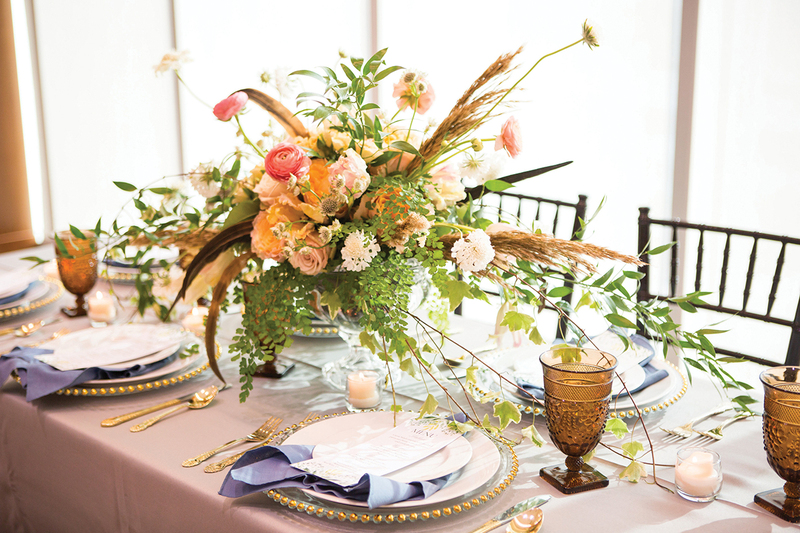 Gold goblets, cornflower blue napkins and an eclectic, seasonally-inspired centerpiece of rich-colored flowers complimented the view without competing with it. 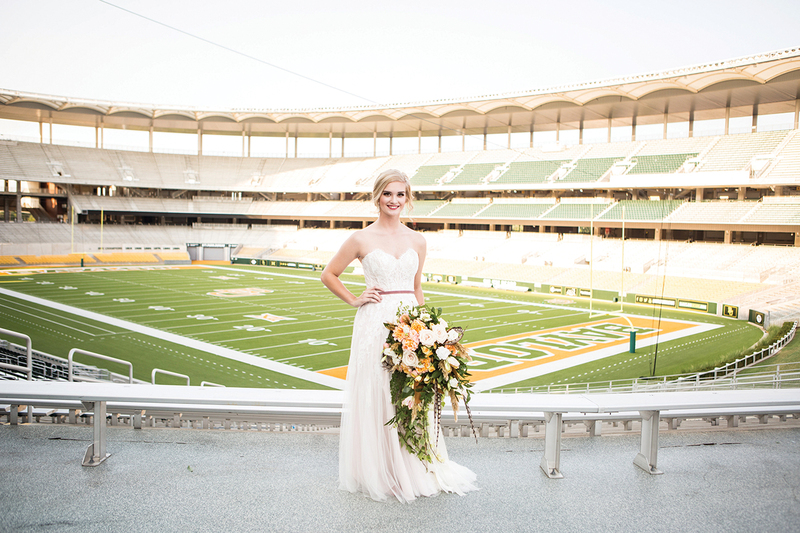 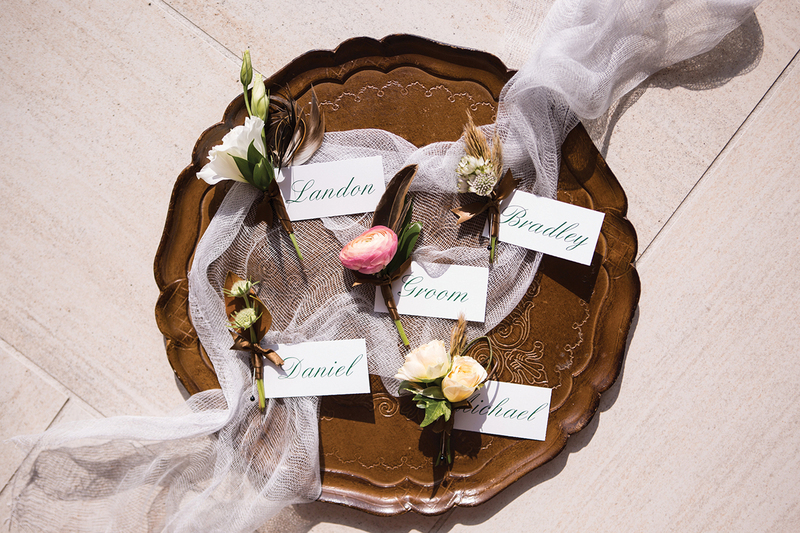 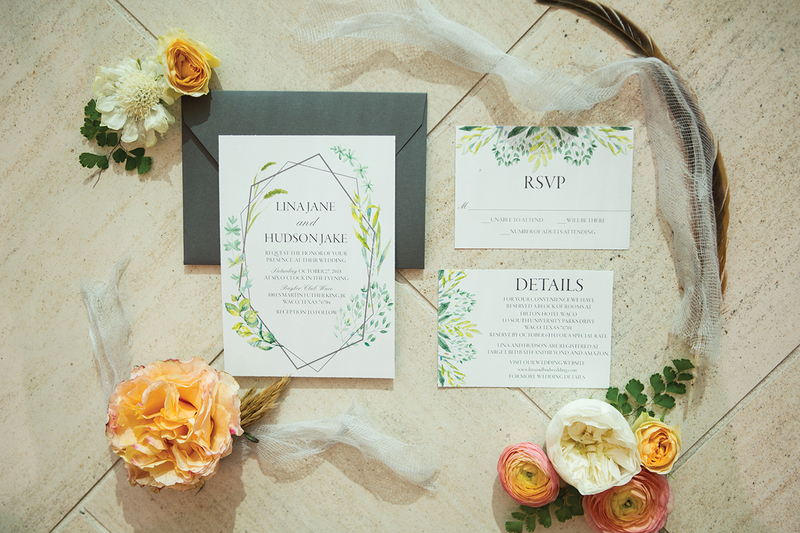 The green and gold accents throughout the shoot not only set the tone for an autumnal wedding, but it also highlighted the colors emblazoned on the Bears’ home field.